One of the most popular kinds of hunting nowadays is dove hunting, and this is certainly a sport that can challenge hunters of all ability levels. I don’t care how much success you might have achieved with deer hunting or large game hunting, because dove hunting will take your skill to a whole new level. The reason is quite simple: whereas large game, you can generally get quite close to them, and therefore you don’t have to be all that accurate to catch them, dove hunting is a whole other ball game. If you aren’t deadly accurate, you will miss out, because you will be hunting from long distances, and firing at a moving target, at that. The number one thing to do when dove hunting is to keep a close eye out of the dove’s flight patterns and habits and scouting for good dove hunting spots is a MUST! For example, try and find the area where they live (not always easy) and where they will be feeding, and then you can have a general idea of the area they will be going. Thus, you can intercept them quite easily doing this. Be sure to stay out in the open fields, as attempting to hunt for doves in areas where the are trees can tremendous hinder you, because you won’t be able to see the dove that well. When you stay in open fields, you give yourself the best chance of success possible. Make certain you don’t move a muscle when the dove are drawing near. They have excellent eyesight, and if they see any movement at all, they will quickly fly away, taking away your chance of a kill. Try and hide behind some tall grass or another barrier, if at all possible, to prevent them from seeing you, and always wear camouflage to ensure you blend in with the surrounding area. If you do catch a dove, and want to continue hunting, be sure to leave some kind of marker so that you can find it when you are done, and ready to go home. Many hunters are carafes with this process’s and after they go to all the work of catching the dove, can’t find it in order to bring it home. What a waste of effort! While these are some very important dove hunting tips, there are many more that you need to keep in mind as well. For beginners it would be best if you are accompanied with professionals, learn from them! I highly recommend to have learn and have your first dove hunting at Nicaragua, why? 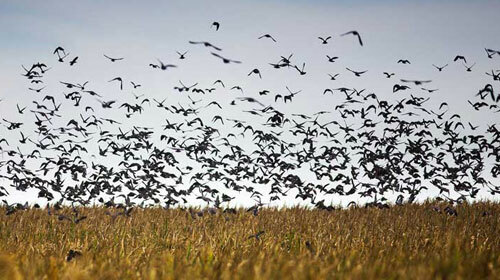 Read Why Choose Nicaragua For Duck and Dove Hunting. Clifford Sanderson is an internet marketer for Nicaragua Bird Hunting and the sole author of this Dove Hunting Blog. Follow me at Twitter @DoveHunter and on Google.